The latest version of Hoyle Puzzle and Board Games has been released, and is now available for purchase. "This year's line of Hoyle games is getting back to basics and addressing the feedback from our loyal fans," said Cal Morrell, President of Encore. "With larger cards and new game-play features, we improved the classic games that people have played throughout their entire lives." Hoyle Card Games 2012, Hoyle Casino Games 2012 and Hoyle Puzzle & Board Games 2012 have been extensively re-worked to include bigger cards, new interface design and a range of improved game play features. Slicker and faster than ever before, the new Hoyle games make the experience of winning more rewarding and exciting with avatars, card back customization and Hoyle Bucks – the more you play, the more you win! Interactive "competitors" – popular characters that have been featured in Hoyle's best-selling lineup – bring the game to life with engaging and humorous commentary. Hoyle Card Games 2012 is the largest & most comprehensive collection of card games available for both PC & Mac. Featuring more than 150 game variations, players can choose from favorites like Poker, Gin Rummy and Hearts or try their hand at Cribbage or Euchre. Over 45 varieties of Solitaire challenge players to think strategically and Go Fish, Old Maid and War are included for the young or the young-at-heart. Choose single player or tournament play for a unique way to play card game favorites. Step up to the table with Hoyle Casino Games 2012 – featuring over 600 casino game variations. Bet it all playing Blackjack, Craps and Roulette or spin-to-win with over 50 video and reel spinner slots. Play Video Poker, Keno and Texas Hold 'Em just like a real casino. Players can choose single or tournament play to collect winnings! 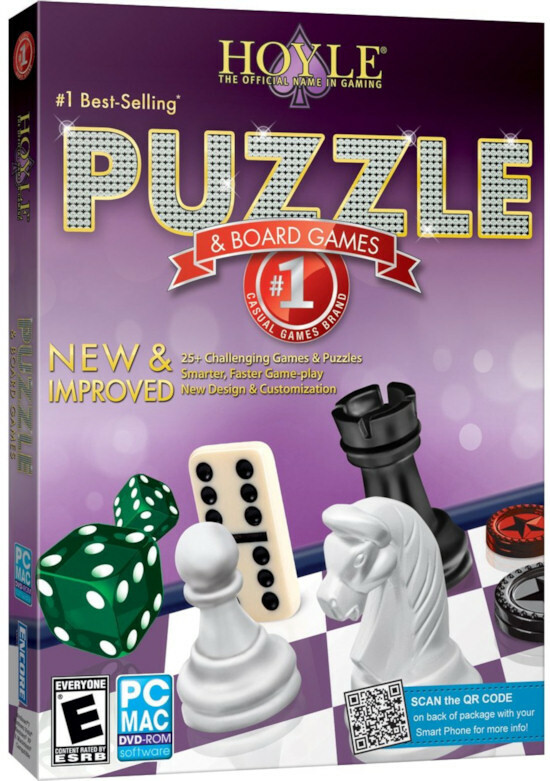 With over 1000 game variations, Hoyle Puzzle & Board Games 2012 is the most comprehensive puzzle and board collection available. Players can choose traditional standards such as chess, checkers and dominoes or test their vocabulary and memory with hundreds of word and tile games. This collection is bursting with games that are easy to learn but take a lifetime to master. Learn more about Hoyle Card Games 2012, Hoyle Casino Games 2012, and Puzzle and Board Games 2012. You can visit the publisher's web site at hoylegaming.com.